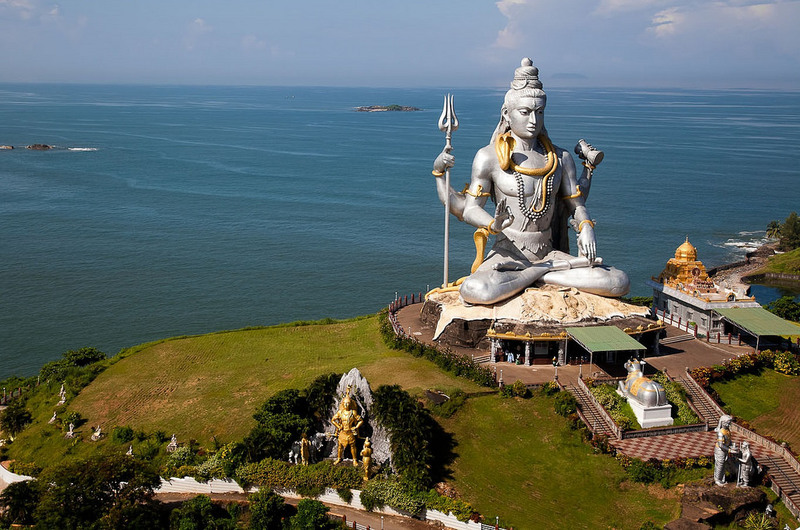 Gokarna, our South Indian location, is where the Hindu god Shiva was said to have come into existence. 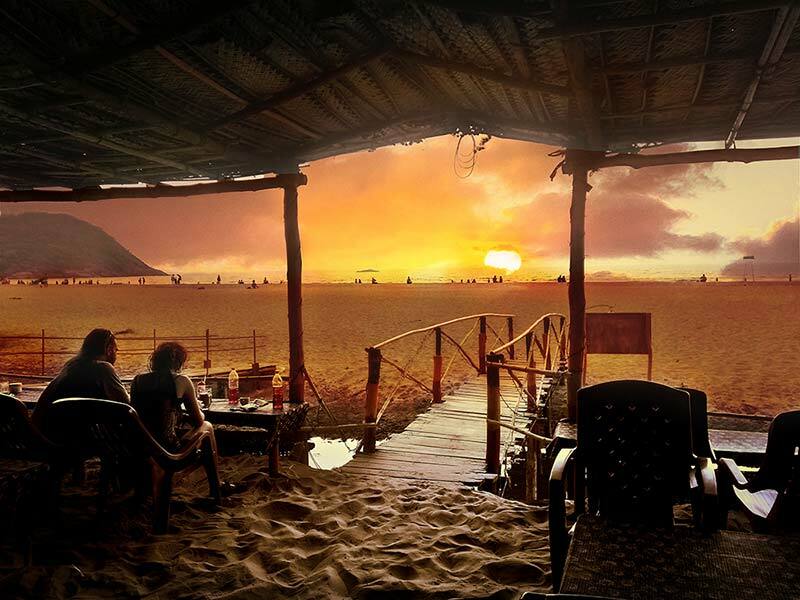 You can enjoy morning walks along the white sandy beach and evening contemplation in front of the unbeatable sunsets. 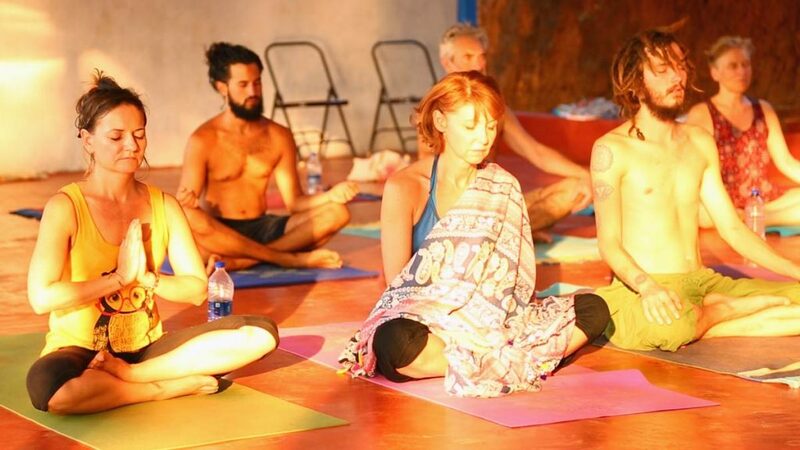 Enjoy your Yoga Teacher Training Courses in Gokarna India, in the middle of nature, between Jungle, Palm Trees and Ocean. 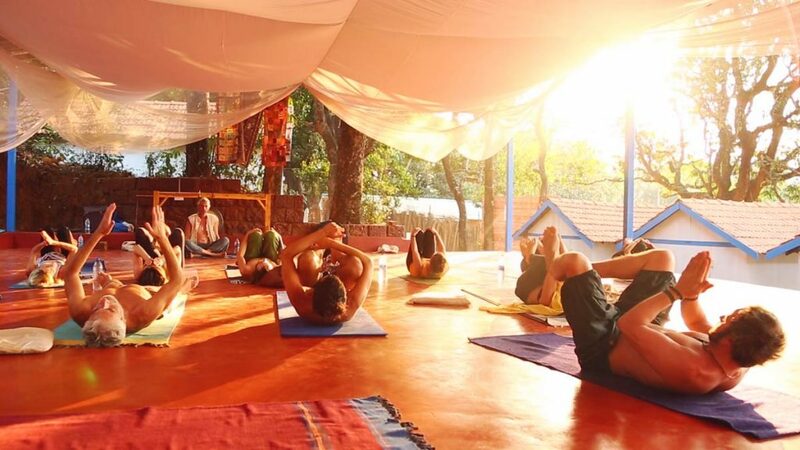 ॐ Accommodation for Yoga Teacher Training Courses in Gokarna, India are offered, seems simple but comfortable, safe, and clean. 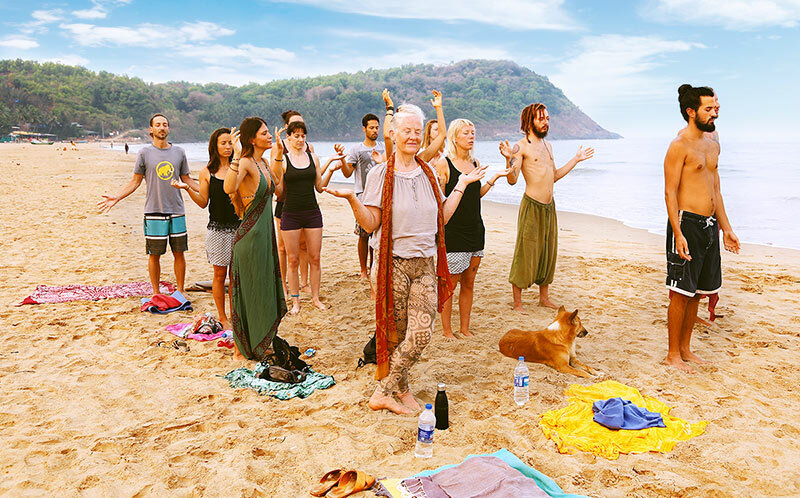 You are steps from the yoga shala and Kudle (pronounced Kood-lay) beach. You can book your room either shared for 2 persons or your own single room. These rooms are your perfect respite for rest and relaxation. The sheets are a crisp, clean, pristine white. Sink into the comfortable mattress. Ahhh! ॐ When you open your door you’ll see rolling hills, rice fields, and palm trees blowing in the breeze. The warm, salty breeze from the ocean will fill your soul with calmness. "Yoga takes you into the present moment, the only place where life exists." Dabolim airport in Goa is the nearest airport, 140 km away. It is well connected to Indian and international cities. You can take a taxi from the airport. We can organize your pick up from the airport. 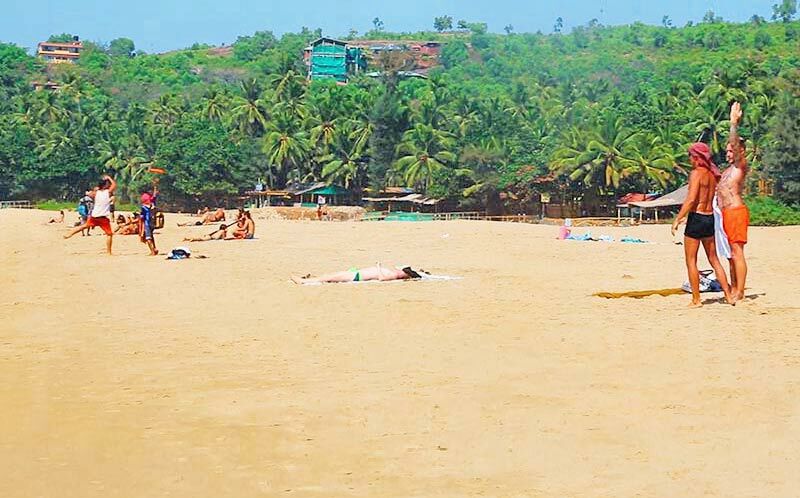 The nearest railway stations are Gokarna Road (10 km) and Ankola (20 km). You can catch a auto rickshaw from the train station. It can be pre-booked with us. Buses travel here from Bengaluru, Mangalore, Hubli, and other major cities. You can also catch a bus from Madgaon, near Goa. Gorkana is about 10 km off the NH17 connecting Mumbai to Kochi. For more information and to plan your route here, please visit: https://pwa.makemytrip.com, or contact us via mail, phone or WhatsApp. ★ Learn about what includes VIP, Exclusive, Regular, Economy in our packages site. ★ Learn about what includes VIP, Exclusive, Regular, Economy in our package site. 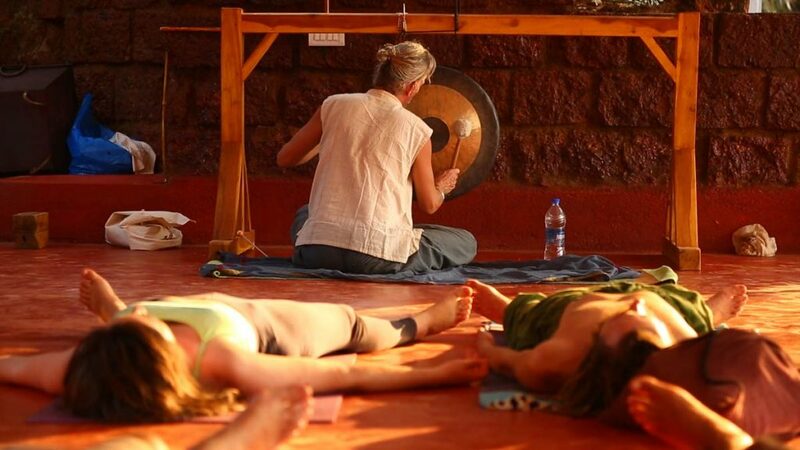 * Please note that Hari, the owner of the school, will not be in Gokarna for this 200 hr YTTC. He will be in Dharamshala.